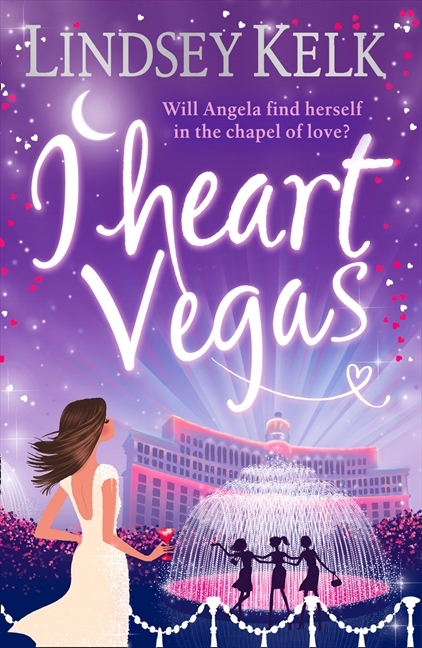 I adore Lindsey Kelk’s novels and I Heart Vegas is no exception. In fact, it might even have vaulted into my favourite of the I Heart Series. Full of Vegas drama in typical Angela style, I laughed out loud and even shed a few tears with this one right along with Angela’s ups and downs. Angela Clark is back with all her antics, insecurities and amusing decisions. 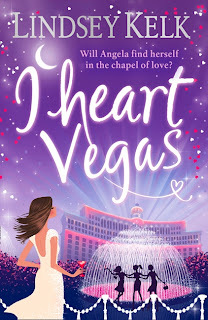 For some reason, her plight in I Heart Vegas felt the most real to me - perhaps why I connected with this novel the most. I could understand the reasons why she didn’t want to bring up the subject with Alex and why she didn’t want the outcome her friends were pushing on her, although I could see their point too. I also loved the revisit to Vegas, which I’ve travelled to once before and enjoyed reliving it, albeit not quite at the same intoxicated pace and emotional duress that Angela explored it from, but I loved reading about her adventures there. Angela’s internal dialogue and predicaments are as amusing as ever. I’ve said it my last two reviews of Kelk's I Heart series before, but I’ll repeat in case you haven’t *gasp* read them yet – I love that in these novels the heroine already has a boyfriend and isn’t just searching for love but instead they explores their relationship. There are few novels like this – Many are either; single and searching, boyfriend pre breakup or married and managing. I loved the unpredictability of I Heart Vegas. Kelk dragged it out mercilessly and I wasn’t quite sure how the end of would play out even though I thought I did from the beginning. Kelk convinced me that what I had anticipated wasn’t going to occur after all and with already knowing the title of the next novel, I was bamboozled right up until the end about which way things were going to go both with her life and love. I suspect this novel would stand alone well if you didn’t want to read all the novels in the series, but why would you want to do that? And if you’re already an Angela fan, you definitely won’t be disappointed! I can’t wait for the next one in the series now! Bring on London ! And I only have to wait a few more months! SQUEE! I love this series too! And I can't wait to read the newest installment. Thanks for the super review without giving too much away! !